A narrower concept of “East Central Europe” remains the dominant one in the German-speaking countries. “Central and Eastern Europe” or “East Central Europe” in its usual sense encompasses the countries of Poland, the Czech Republic, Hungary, and Slovakia, which share certain historical commonalities and connections. Specifically, these were extraordinary – at least by European standards – ethnic and religious diversity, the geopolitical context between Germany and Russia, the involvement of the region in imperial contexts over a number of centuries, the subsequent emergence of independent nation states, as well as cultural transfers and concentrations. The term “East central Europe” is itself a source of much debate, as are the borders of the region which it refers to. In its broadest sense it also includes the Baltic states, Belarus, and Ukraine, as well as southeastern Europe and the Balkans, Brandenburg-Prussia and – for the second half of the 20th century – the German Democratic Republic (East Germany). However, the narrower concept of east central Europe referred to above remains the dominant one in the German-speaking countries. East central Europe can be understood either as a border region of the west, beyond which is the European east, or as an intermediate space between east and west, between Germany and Russia or the Soviet Union. These perspectives are complementary, and both imply characteristics which can be viewed as being specific to the region. The link to the west was cemented in the second half of the 10th century. The dukedom of Bohemia, which had emerged from the Great Moravian Empire, recognized the authority of the German king and subsequent emperor Otto I (912–973) in 950. 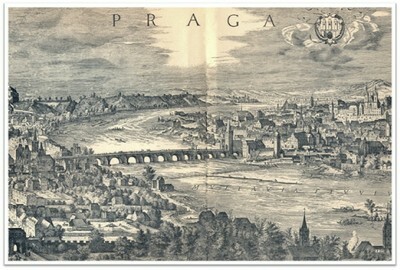 The bishopric of Prague, which was established in 973, played an important role in the establishment of the institutional church in east central Europe. Saint Adalbert of Prague (956–997) baptized the Hungarian duke and launched the mission to the Baltic Prussians. During a pilgrimage to his grave in Gnesenin the spring of 1000, Emperor Otto III (980–1002) established an independent Polish archbishopric and enabled Duke Bolesław I Chrobry (ca. 967–1025), who he elevated to the status of “brother and helper of the empire” (fratrem et cooperatorem imperii) and who he referred to as his friend and confederate (populi Romani amicum et socium),12 to establish a Polish kingdom. In August 1000, Stephen I (ca. 974–1038) of Hungary accepted the title of king from a papal nuncio. Thus, within the space of just a few decades an independent system of rule had emerged which was connected to Latin Christendom. Subsequently, the death without heir of the last representatives of the founder dynasties – the Piast dynasty in Poland (1370), the Přemyslid dynasty in Bohemia (1306) and the Árpád dynasty in Hungary (1301) – and the transition to elected monarchies strengthened the position of the nobility and its collective rights, while also resulting in a series of dynastic connections between kingdoms. Three of these connections proved to be long-term and had a profound effect on the political order of east central Europe: the union of crowns between Hungary and Croatia of 1102, the Jagiellonian union of crowns through marriage between Poland and Lithuania in 1386, out of which emerged the Union of Lublin in 1569, and the link between Hungary and the Bohemian lands and the Habsburg hereditary lands as a result of the Hungarian defeat to the Ottomans at the Battle of Mohács in 1526. Gdansk (Danzig) and Riga , Cracow and Prague, Vilna and Lviv (Lvov/Lemberg) extended the network of European trading centres eastward, binding the new kingdoms more closely to the west. As a result of the Polish acquisition of the dukedom of Halych in the second half of the 14th century, and, in particular, as a result of the Polish-Lithuanian Union, Polish Catholic and Russian Orthodox influences overlapped on the eastern edge of east central Europe. This had long-term effects on confessional as well as social and political conditions in the region. The weakness of elective monarchies and the region’s position on the periphery of the Kievan Rus and the principalities which emerged from it, and, in particularly, on the edge of the Ottoman Empire resulted in the emergence of a particular political order in east central Europe, which was dominated by the noble estates. Wars of varying sizes resulted in the emergence of a petty nobility that was numerically stronger and structured in a militarily useful clientele system. 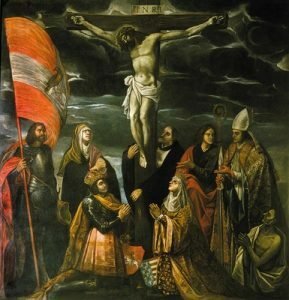 Continuing contact with the Ottomans also defined the early modern aristocratic culture of Poland and Hungary and its concept of itself as the Antemurale Christianitatis. The intellectual core of this culture was an independent attitude based on the estate, which included a high degree of regional self-administration for the nobility and the guarantee of participation in the legislature. The respective “nation of the nobility” (Adelsnation) gathered together in the respective legislative assembly epitomized state continuity. The kingdom of Poland even explicitly defined itself as a republic of the nobility. Seventeenth century Poland with its proverbial “Golden Liberty”13 and autocratic Russia, which was only freed from centuries of Mongol rule by Ivan III of Muscovy (1440–1505) in the late-15th century, can be viewed from the early modern period onward as diametrically opposite, but also interlinked, political orders. 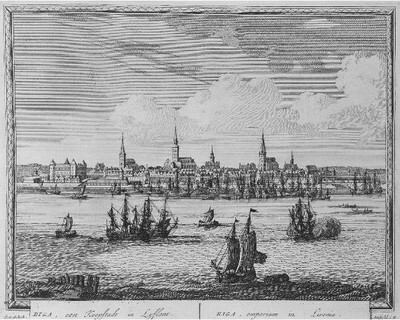 While the possibility briefly arose during the “Time of Troubles” in the early-17th century that the Polish republic of the nobility could extend its rule far to the east and establish its constitutional model in Muscovy, the consolidated militarized Russian state was able to impose its hegemony on the Polish state just one century later in the aftermath of the Northern Wars (1560–1721), and, from the “Silent Sejm” of Grodno in 171714 onward, Russia used its position to block the consolidation of monarchical power in Poland.15 The contradiction between freedom and autocracy which emerged during this period has remained a feature of the Polish-Russian relationship through the Partitions of Poland and the period of Soviet hegemony right up to the present. On the other hand, the legal status of the peasants was something that Poland and Russia had in common. Indeed, throughout the whole of eastern Europe, peasants largely remained in conditions somewhere between seigneurial subservience and serfdom until the 19th century. 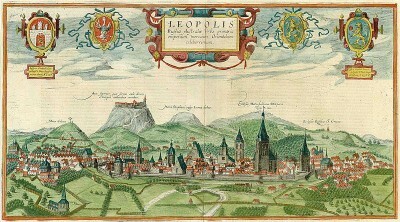 The incorporation of the kingdoms of east central Europe into imperial conglomerates drew in the case of the Habsburg Empire initially on the early modern model of the composite state, which was managed by the monarch and his chancelleries, but the political and social conditions of the individual territories remained largely unchanged. This was not the case in the Polish territories which fell to Prussia, but it was the case in the Baltic Provinces and subsequently – albeit to a somewhat lesser extent – in the parts of Poland which were incorporated into the Russian Empire during the first three Partitions of Poland. The more the respective rulers developed common and – increasingly – uniform administrative structures from the mid-18th century onward, the greater the tension became between the imperial collective and the individual territories. These tensions then – in the case of Bohemia and Hungary, but also in the case of the divided Poland – increasingly provided a focus for ideas of national renewal. The Habsburg Empire, the Russian Empire and Prussia – and later the German Empire – by no means blocked the emergence of modern economic and political conditions within east central Europe. Instead, they shaped these developments to fit into the broader imperial context. 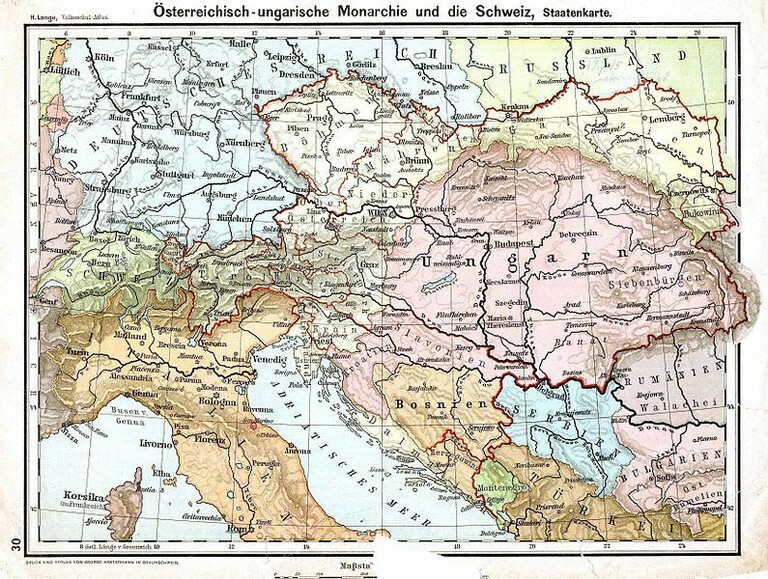 This is evidenced not least by the fact that the Czech and Hungarian nationalist movements by no means called into question the legitimacy of the Habsburg Empire itself, but instead strove for a constitutional order which would guarantee to the historical kingdoms the greatest autonomy possible, thereby enabling them to progress into liberal nation states within the empire. The initial close contact between the Czech, Slovenian, Croatian, Slovakian and Ukrainian nationalist movements in the spirit of Slavic solidarity resulted in the Prague Slavic Congress in 1848. It was envisaged as a counterpoint to the assembly in the Paulskirche in Frankfurt, though it immediately highlighted considerable tensions between the respective interests. The Czech section of Charles University in Prague, which was opened in 1882, subsequently became an important institution for southern Slavic intellectuals also. The Austro-Hungarian Compromise of 1867 was viewed by the Slavic nationalist movements as blocking their own ambitions, but for the Czechs and Croats it became a blueprint for internal autonomy placed on a constitutional footing. Up to that point, only Polish-dominated Galicia had been granted that level of autonomy within the Austrian Empire. The challenges which the transition to a constitutional parliamentary order presented were already clearly demonstrated in the Habsburg Empire and the former Polish territories of Prussia by the revolution of 1848, and by the aftermath of the revolution of 1905 in the former Polish territories in the Russian Empire. In the politicized public sphere, competing nationalist demands emerged in all political fields. In particular, the education system, local politics, the economy and ultimately also the army became the arenas of nationalist conflict, though the broader imperial context remained unchanged until the First World War. It was the gradual disintegration of the armies of all three imperial powers involved in east central Europe and the political mobilization which the war brought about that facilitated the emergence of the nation states which have since defined the political order of east central Europe. National independence brought democratic and social emancipation, though authoritarian trends soon emerged. What was initially looked upon as a stable bulwark or cordon sanitaire between Germany and the Soviet Union, and as an additional support for the new continental order sponsored by France, became a crisis region which ultimately succumbed to National Socialist aggression. The Second World War manifested itself as a radical destruction of existing social and political structures in Poland in particular. 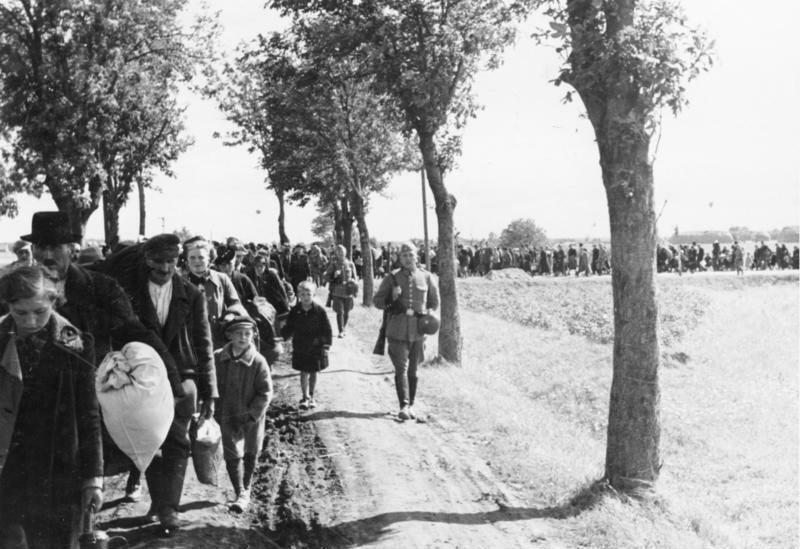 In addition to the German occupation, the annihilationist aims of which became increasingly apparent in retrospect, the Soviet occupation has been identify in the past two decades as bearing some similarities.18 While the differences between German occupation policies during the Second World War in Poland, Czechoslovakia and Hungary (which was allied with Germany) need little explanation, the consequences of these policies for the establishment and development of Communist dictatorships after 1945 remains to be systematically researched. These regimes pushed through a broadly based transition to a society based on industrial labour. Industrialized labour had remained largely restricted to the large cities in the first half of the 20th century. This process was experienced as more of an upheaval and a violent intervention from the outside here than in any other region of Europe, though the changes in the everyday patterns of life have been romanticized in retrospect.19 Differences between nations can be identified particularly in the different forms of opposition to Soviet hegemony in the years 1956 and 1968, as well as in the varying degrees of repression and the forms of opposition and dissent. These differences had the result that close transnational contact and links (the officially prescribed friendship within the Soviet sphere), the shared experience of the scarcity of consumer goods and even contact between intellectuals if anything strengthened the perception of differences between the nations. This perception persisted through the transformations which occurred in 1989 and beyond. With accession to the EU in 2004, east central Europe has again for the foreseeable future become the eastern edge of the west, with a clear demarcation between it and the east. The cautious optimism that this would result in parliamentary democracies with stable institutions and that the crisis-ridden peripheral position would be replaced by a normality characterized by parity of esteem within Europe has been somewhat dampened by developments in Hungary since 2011. However, the primacy of the nation-states in the political order in east central Europe appears – particularly after the peaceful dissolution of Czechoslovakia – to be more secure than ever. Ethnic diversity in the region can be traced back to Slavic settlement in the early medieval period, which affected every part of east central Europe except the Baltic with its Estonian and Baltic (Latvian, Lithuanian and Baltic Prussian) populations. The separation between Latin and Greek Christendom and the separation between the East and West Slavs were concomitant processes. Slavic settlement was weakest in the Carpathian basin. The fact that the Magyars who claimed the land there were able to establish the Hungarian language there from the 9th century onward can be attributed to the conversion to Christianity and the concomitant emergence of stable rule around the end of the first millennium. This development was further assisted by the arrival and assimilation of Pechenegs and Kumans, who also came from the Steppes. 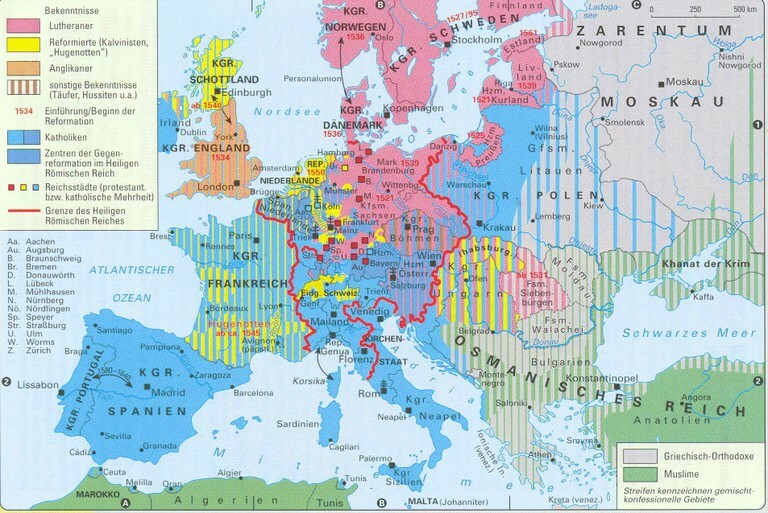 Linguistic conditions underwent lasting change as a result of German eastward migration in the high medieval period, which extended the region of German-Slavic overlap a considerable distance eastward. Relatively compact regions of German settlement emerged in East Prussia, Pomerania, Silesia and northern and western Bohemia, as well as pockets of German-speaking population in Moravia, Hungary and Transylvania, often with vague geographical boundaries, which resisted assimilation. The arrival of the Mongol invaders in 1240–1242 with the attendant massive loss of population accelerated this development considerably, particularly in Silesia, and also transformed the ethnic composition of the population in Hungary. The migration of Jews primarily from the German-speaking territory to Poland also occurred during the 12th and 13th century, as did the migration of Orthodox Rumanians from the territories south of the Danube, and the migration of Roma and Armenians primarily to the Carpathian region. On the eastern edge of Latin Christendom, religious and linguistic differences were often coterminous even before the Reformation and they were stabilized by legal privileges and provisions for self-administration. This trend was strengthened by the Reformation. To the extent that the political order was based on estate-based liberties, it facilitated forms of guaranteed tolerance, which were furthest developed in Hungary and Transylvania. In contrast to Poland and the Bohemian lands, the Counter-Reformation was only partially successful here. In places where Catholicism was extended to the Orthodox population, such as in eastern Poland, in Hungary and in Transylvania, it resulted instead in the emergence of new separate population groups in the form of the Greek Catholic churches. Within the corporations of the privileged nobility with their concept of the equality of members, and within the corporations of privileged townspeople, a homogenizing pressure emerged which resulted in a clear differentiation between these groups and the largely enserfed peasant population. This divide also manifested itself in linguistic conditions, with the landowning nobility and the urban estates in parts of Poland and Hungary differing markedly from the majority of the population in this regard also. For example, in eastern Poland the nobility was Polish, the townspeople were predominantly Polish or Jewish, but the rural population was Lithuanian or East Slavic. 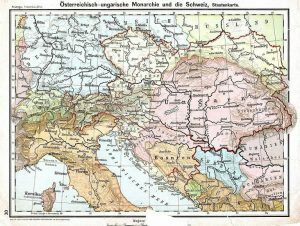 In Hungary, the nobility spoke Hungarian even in regions that were predominantly Slovakian, Rumanian or German, while in many cities in Upper Hungary the German language enjoyed an equally high status as Hungarian or Slovakian. Up to the 18th century, ethnic diversity existed primarily in the form of the collective religious, political and social privileges of legally recognized corporations, which existed in parallel to one another and frequently gave rise to conflict. The settlement of groups of Germans and Serbians in Central Hungary in the aftermath of the Turkish wars made the picture even more diverse in the respective regions. This ethnic diversity assumed a new quality with the rise of nationalist ideas from the middle of the 18th century. As the spread of the political public sphere and demands for political participation undermined the estate privileges of individual groups within the population under the banner of the nation as a whole, they created a homogenizing pressure which soon became linked to movements for linguistic renewal on the basis of the vernacular and a usually romanticized, if not entirely invented popular culture. The Polish nationalist movement was an exception in this regard. 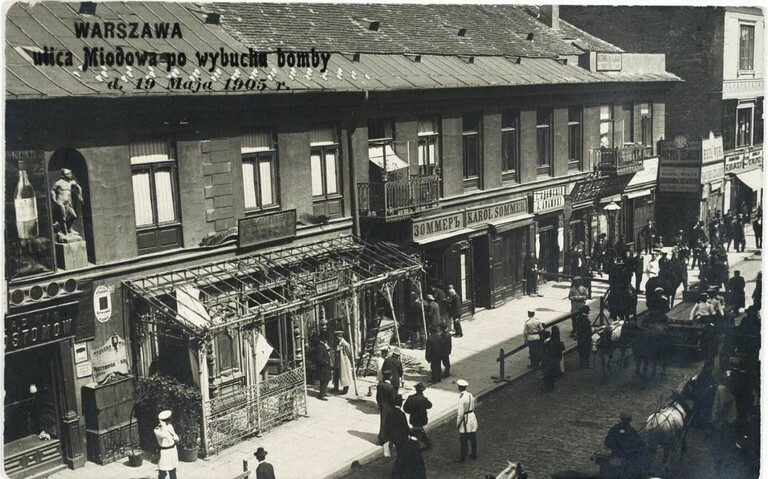 Until the second half of the 19th century, its romantic concept of the nation was less focused on the establishment of a written Polish language, which had already existed for a long time, than on heroic resistance to the partitioning powers. In Poland, as elsewhere in east central Europe, the segmentation of the population into separate public spheres along linguistic lines created a pressure to assimilate, which in the transition to modern industrial societies was initially most conspicuously felt in the cities and which dominated an ever increasing portion of daily life, even reaching into the private sphere. 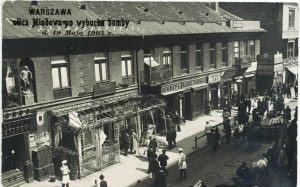 It should be possible to recognize a real Pole, Czech, German, Hungarian or Slovak by the language he used, the school he sent his children to, and the shops he patronized. Invented pasts vouched for the transition to modernity. The transition from inclusive to exclusive, from political to ethnic nationalism, which was such a widespread phenomenon in the 19th century, was a trend which began earlier. However, this is no more a peculiarity of east central Europe than the accompanying transition from participatory to authoritarian forms of nationalism or the turn towards anti-Semitism. In east central Europe, where the overwhelming majority of Europe’s Jewish population had lived since the 14th century, anti-Semitism met with an enormous diversity of Jewish movements, which pursued differing paths to Jewish modernity. In Warsaw, Prague, Vienna and Budapest with their young and dynamic middle classes, the Jewish Enlightenment, the Haskalah, led directly to assimilation, though this assimilation remained incomplete due to constant contact with eastern European Jewish culture. Beyond the urban centres in the small shtetls with their mixture of traditional and Hassidic Jews, emancipation led instead to different variants of Zionism or to an independent Jewish socialism, and frequently directly to the emerging communist parties. 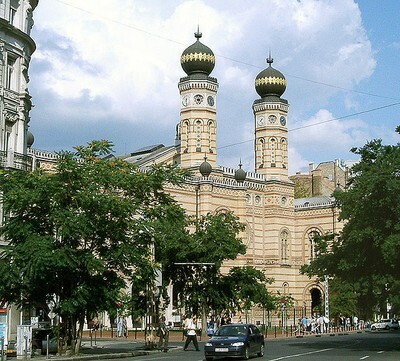 The direct confrontation between modernity and tradition also resulted in an independent Jewish orthodoxy, initially in Hungary. The democratic nation state of the 20th century was based on the expectation of ethnic homogeneity, which often had to be obtained through force. This phenomenon is particularly conspicuous in the case of east central Europe and it was to an extent only formulated in this way as a result of the study of east central Europe and southeastern Europe.21 This realization has not totally obscured the emergence of national and international minority rights, but has altered the view on it. Both – displacement and minority rights – are two sides of the same coin to the extent that minority rights were not infrequently formulated with the expectation of linguistic assimilation over the long term and population displacements after the First World War and particularly in the aftermath of the Second World War received international approval as a supposed long-term guarantee against genocide. 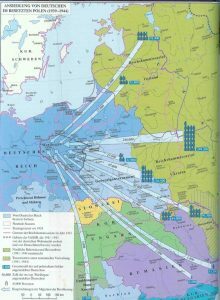 The resettlement which occurred in the aftermath of the Hitler-Stalin Pact, the National Socialist war of annihilation and the subsequent displacement primarily of German, Polish and Ukrainian populations have created a comparatively high degree of ethnic homogeneity. This process included the murder of the east central European Jewish population in the Shoah. My servants, as you work for me! However, ethnic and nationalist conflicts were only partially resolved in the aftermath of the Second World War, particularly since the principle of the homogeneous nation state remains dominant. In particular, nationalist tensions have arisen in connection with the Hungarian minorities in Rumania and Slovakia, as well as increasingly in relation to the Roma population. However, in the two and a half decades since the disintegration of the Communist dictatorships, the level of violence arising from nationalist conflicts has been considerably less than initially feared. In spite of their great historical depth, the cultures of memory in east central Europe are, as a result of the experiences of violence and dictatorship in the 20th century, strongly influenced by recent history, and in spite of all their similarities they are specific to the individual nations. Memories of the Second World War and of Communist dictatorship, which are presented as being closely connected or even being of a piece, have a central place in this culture. There is the demand that the continuation of dictatorship after 1945 be recognized by the European public. This desire not only focuses on differences in historical experiences within Europe but also on the parity of esteem between the crimes of the National Socialist and of the Stalinist occupation, between the Holocaust and the Gulag. The European Parliament has assisted these efforts through its efforts to establish August 23rd, the date of the signing of the Hitler-Stalin Pact, as a European day of commemoration for the subjugation of Europe by the two main dictatorships of the 20th century.22 The change in perspective in the newly established museums of modern history in Warsaw, Cracow, Gdansk, Budapest and Sighet in Rumania are a further example of this joint or shared approach to history and its commemoration. In the countries themselves, these initiatives have prompted controversies which are indicative of a polarization in attitudes regarding the recording and commemoration of history. These initiatives to establish museums of contemporary history correspond to a no less entangled public memory of Jewish history and the Holocaust in the respective countries. This includes critical questions regarding the part played by the respective majority population in the persecution and murder of the Jews, as demonstrated in particular by the solemn debates within Poland regarding the massacre of Jews in Jedwabne.23 The displacement of the German population of east central Europe has also been debated in a controversial and nuanced manner for some time now. In this way, it has become possible in retrospect to thematise the traumatic experiences of an overwrought, decades-long existence between two overbearing hegemonic empires. Since the end of the Communist dictatorships in the revolutions of 1989, a European normality has begun to establish itself in east central Europe. Some elements, such as the strong position of the landowning nobility in politics and society and the high degree of linguistic and religious diversity have already largely disappeared. Many western Europeans may still perceive the countries of east central Europe mainly as a space of transition before the European east, especially in view of the strangeness of the languages spoken there and the conspicuously lower standard of living. This has given rise to a new kind of labour migration, which has seen many Poles in particular moving to England, Irland and Germany. At the same time, a high degree of mobility has become a characteristic of the whole of Europe, and east central Europe hardly stands out from the rest of Europe in this regard. The Jagiellonian dynasty, which was originally Lithuanian, ruled Poland and Lithuania from 1386 to 1572. Cf. Conze, Ostmitteleuropa 1992; Halecki, Grenzraum 1956; Troebst, “Intermarium” 2002; Morawiec, Antemurale 2001. Szűcs, Die drei historischen Regionen 1994. Naumann, Mitteleuropa 1915; Mühle, “Ostforschung” 1997; Mackinder, Democratic Ideals 1919. Palacky, Eine Stimme 1866; Masaryk, The Problem 1917 . Csáky, Das Gedächtnis 2010; Ther, Vom Gegenstand 2006; for example, see: Wolff, The Idea of Galicia 2010. Bartov, Shatterzone 2013; Snyder, Bloodlands 2011. Modzelewski, Das barbarische Europa 2011. Gesta Principum Polonorum 2003, p. 36; Bujnoch, Polens Anfänge 1978, p. 58. This term refers to the unrestricted right to freedom of speech and the right of objection enjoyed by all members in the Sejm, the Polish parliament, which also granted to every single member a veto right. Even the king was dependent on the decisions of the parliament, which resulted in many stalemate situations. On February 1 1717, a sitting of the parliament occurred in which the members had no right of objection, and therefore had to remain silent. 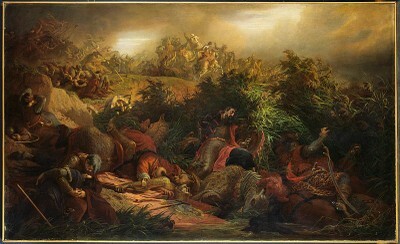 The sitting endorsed the treaty between the rebels of the Tarnogród Confederation, who had been in communication with Tsar Peter I (1672–1725), and King August II of Poland (1670–1733). Zernack, Polen und Russland 1994. Cf. Zernack, Negative Polenpolitik 1974; Schulze Wessel, Russlands Blick 1995. Baberowski / Döring-Manteuffel, Ordnung durch Terror 2006; Snyder, Bloodlands 2011. Naimark, Flammender Hass 2004; Ther, Die dunkle Seite 2011. Dmitrów, Beginn der Vernichtung 2004. Crampton, Richard / Crampton, Ben: Atlas of Eastern Europe in the Twentieth Century, London et al. 1996. Magocsi, Paul Robert: Historical Atlas of Central Europe, 2nd edition, Seattle 2002 (A History of East Central Europe 1). Sienkiewicz, Witold (ed. ): Illustrierte Geschichte der Flucht und Vertreibung: Mittel- und Osteuropa 1939 bis 1959, Augsburg 2009. [Anonymous]: Gesta Principum Polonorum: The Deeds of the Princes of the Poles, Budapest 2003. Busek, Erhard et al. (eds. ): Aufbruch nach Mitteleuropa: Rekonstruktion eines versunkenen Kontinents, Vienna 1986 (Edition Atelier). Bujnoch, Josef (ed. ): Polens Anfänge, Graz et al. 1978 (Slavische Geschichtsschreiber 10). Delaperrière, Maria et al. (eds. ): Europe médiane: Aux sources des identités nationales, Paris 2005. Herder-Institut für historische Ostmitteleuropaforschung (ed. ): Dokumente und Materialien zur ostmitteleuropäischen Geschichte, online: http://www.herder-institut.de/quellen [05/08/2014]. Mackinder, Halford John: Democratic Ideals and Reality: A Study in the Politics of Reconstruction, London 1919, online: http://www.archive.org/details/democraticideals00mack[05/08/2014]. Masaryk, Tomáš Garrigue: The Problem of Small Nations in the European Crisis: Inaugural Lecture at the University of London, King’s College, in: Bohemian National Alliance (ed. ): The Voice of an Oppressed People, Chicago 1917, pp. 3–28, online: http://www.archive.org/details/voiceofoppressed00masa [05/08/2014]. Naumann, Friedrich: Mitteleuropa, Berlin 1915, online: http://www.mdz-nbn-resolving.de/urn/resolver.pl?urn=urn:nbn:de:bvb:12-bsb11126589-9 [05/08/2014]. New Constitution of the Government of Poland, Established by the Revolution, The Third of May 1791, 2nd edition, London 1791, online: http://www.polona.pl/item/1109263 [05/08/2014]. Palacky, Franz: Eine Stimme über Österreichs Anschluß an Deutschland, in: idem: Österreichs Staatsidee, Prague 1866, pp. 79–86, online publication by Zentrum gegen Vertreibungen: Bohemistik: Arbeitsstelle “Historische Stereotypenforschung” am Institut für Geschichte der Carl von Ossietzky Universität Oldenburg: http://www.bohemistik.de/palacky2.html [05/08/2014]. Roy Rosenzweig Center for History & New Media (ed. ): Making the History of 1989: Primary Sources, online: http://chnm.gmu.edu/1989/primarysources [05/08/2014]. Augustynowicz, Christoph: Geschichte Ostmitteleuropas: Ein Abriss, Vienna 2010. Baberowski, Jörg / Doering-Manteuffel, Anselm: Ordnung durch Terror: Gewaltexzesse und Vernichtung im nationalsozialistischen und im stalinistischen Imperium, Bonn 2006. Bartov, Omer et al. (eds. ): Shatterzone of Empires: Coexistence and Violence in the German, Habsburg, Russian, and Ottoman Borderlands, Bloomington 2013. Conze, Werner: Ostmitteleuropa: Von der Spätantike bis zum 18. Jahrhundert, Munich 1992. Csáky, Moritz: Das Gedächtnis der Städte: Kulturelle Verflechtungen – Wien und die urbanen Milieus in Zentraleuropa, Vienna 2010. Dmitrów, Edmund et al. (eds. ): Der Beginn der Vernichtung. 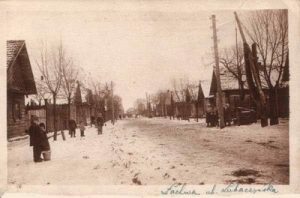 Zum Mord an den Juden in Jedwabne und Umgebung im Sommer 1941: Neue Forschungsergebnisse polnischer Historiker, Osnabrück 2004 (Veröffentlichungen der Deutsch-Polnischen Gesellschaft Bundesverband e.V. 4). Evans, Robert John Weston: Austria, Hungary, and the Habsburgs: Central Europe c. 1683–1867, Oxford et al. 2006. Franzen, K. Erik et al. (eds. ): Opfernarrative: Konkurrenzen und Deutungskämpfe in Deutschland und im östlichen Europa nach dem Zweiten Weltkrieg, Munich 2012 (Veröffentlichungen des Collegium Carolinum 126). Hadler, Frank et al. (eds. ): Verflochtene Geschichten: Ostmitteleuropa, Leipzig 2010 (Comparativ 20, 1–2). Halecki, Oskar: Grenzraum des Abendlandes: Eine Geschichte Ostmitteleuropas, Salzburg 1956. Janos, Andrew C.: East Central Europe in the Modern World: The Politics of the Borderlands from Pre- to Postcommunism, Stanford 2000. Kaminsky, Anna et al. (eds. ): Der Hitler-Stalin-Pakt in den Erinnerungskulturen der Europäer, Göttingen 2011 (Moderne Europäische Geschichte 1). Kenneweg, Anne Cornelia et al. (eds. ): Marienkult, Cyrillo-Methodiana und Antemurale: Religiöse Erinnerungsorte in Ostmitteleuropa vor und nach 1989, Marburg 2008 (Zeitschrift für Ostmitteleuropa-Forschung 59, 3). Křen, Jan: Die Konfliktgemeinschaft: Tschechen und Deutsche in den böhmischen Ländern 1780–1918, 2nd edition, Munich 2000 (Veröffentlichungen des Collegium Carolinum 71). Modzelewski, Karol: Das barbarische Europa: Zur sozialen Ordnung von Germanen und Slawen im frühen Mittelalter, Osnabrück 2011 (Klio in Polen 13). Morawiec, Małgorzata: Antemurale christianitatis: Polen als Vormauer des christlichen Europa, in: Jahrbuch für Europäische Geschichte 2 (2001), pp. 249–260. 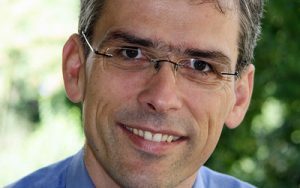 Mühle, Eduard: “Ostforschung”: Beobachtungen zum Aufstieg und Niedergang eines geschichtswissenschaftlichen Paradigmas, in: Zeitschrift für Ostmitteleuropa-Forschung 46 (1997), pp. 317–350. Naimark, Norman: Flammender Hass: Ethnische Säuberung im 20. Jahrhundert, Munich 2004. Puttkamer, Joachim von: Ostmitteleuropa im 19. und 20. Jahrhundert, Munich 2010 (Oldenbourg Grundriss der Geschichte 38). Roth, Harald (ed. ): Studienhandbuch Östliches Europa, 2nd edition, Cologne et al. 2009, vol. 1: Geschichte Ostmittel- und Südosteuropas. Sapper, Manfred et al. (eds. ): Transfergeschichte(n): Peripherie und Zentrum in Europa, Berlin 2008 (Osteuropa 58, 3). Schulze Wessel, Martin: Russlands Blick auf Preußen, Stuttgart 1995. Snyder, Timothy: Bloodlands: Europa zwischen Hitler und Stalin, Munich 2011. Szűcs, Jenő: Die drei historischen Regionen Europas, 2nd edition, Frankfurt am Main 1994. Ther, Philipp: Vom Gegenstand zum Forschungsansatz: Zentraleuropa als kultureller Raum, in: Johannes Feichtinger et al. (eds. ): Schauplatz Kultur – Zentraleuropa: Transdisziplinäre Annäherungen, Innsbruck et al. 2006 (Gedächtnis – Erinnerung – Identität 7), pp. 55–63. Idem: Die dunkle Seite der Nationalstaaten: “Ethnische Säuberungen” im modernen Europa, Göttingen 2011 (Synthesen 5). Todorova, Maria et al. (eds. ): Post-Communist Nostalgia, New York 2010. Troebst, Stefan: Der 23. August als euroatlantischer Gedenktag? Eine analytische Dokumentation, in: Anna Kaminsky et al. (eds. ): Der Hitler-Stalin-Pakt 1939 in den Erinnerungskulturen der Europäer, Göttingen 2011 (Moderne europäische Geschichte 1), online: http://web.apb-tutzing.de/apb/cms/uploads/media/Troebst_Hitler-Stalin-Pakt.pdf [05/08/2014]. 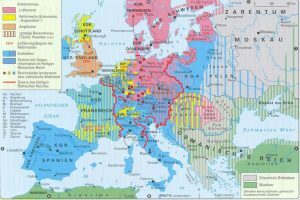 Idem: Erinnerungskultur – Kulturgeschichte – Geschichtsregion: Ostmitteleuropa in Europa, Wiesbaden 2013 (Forschungen zur Geschichte des östlichen Mitteleuropa 43). Idem: “Intermarium” und “Vermählung mit dem Meer”: Kognitive Karten und Geschichtspolitik in Ostmitteleuropa, in: Geschichte und Gesellschaft 28 (2002), pp. 435–469. Idem: Kulturstudien Ostmitteleuropas: Aufsätze und Essays, Frankfurt am Main et al. 2006 (Gesellschaften und Staaten im Epochenwandel 11). Wandycz, Piotr: The Price of Freedom: A History of East Central Europe from the Middle Ages to the Present, 2nd edition, London et al. 2001. Wolff, Larry: The Idea of Galicia: History and Fantasy in Habsburg Political Culture, Stanford, CA 2010. Zernack, Klaus: Osteuropa: Eine Einführung in seine Geschichte, München 1977 (Beck’sche Elementarbücher). 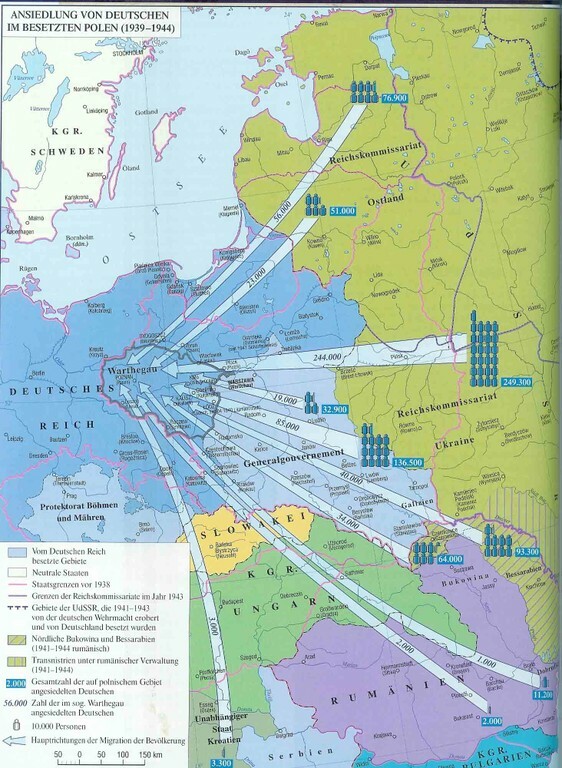 Idem: Polen und Russland: Zwei Wege in der europäischen Geschichte, Berlin 1994 (Propyläen Geschichte Europas, supplementary volume). Idem: Negative Polenpolitik als Grundlage deutsch-russischer Diplomatie in der Mächtepolitik des 18. Jahrhunderts, in: Uwe Liszkowski (ed. ): Russland und Deutschland: Festschrift für Georg von Rauch zum 70. Geburtstag, Stuttgart 1974 (Kieler Historische Studien 22), pp. 144–159. Originally published by EGO: Journal of European History Online under a Creative Commons Attribution-NonCommercial-NoDerivs 3.0 Unported license. This entry was posted in Europe, History, Immigration, Migration. Bookmark the permalink.